My friend had this burning in her house. I had to ask what it was. So nice! WOW! 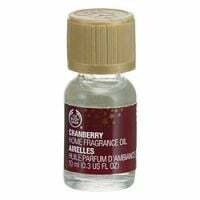 I smelt this cranberry oil at the body shop when they were demonstrating it. It smells so good. It's like a sweet cranberry scent that really awakens your senses. So good!